We will take care of your cargo and deliver it safe and on time. Inquire now about our dedicated fleet customized services. I happen to be doing a vendor review and realized that I have never seized the opportunity to send our sincere thanks and gratitude for the service provided to us by the M&M Team. For the past 6 years your organization has provided us with service levels on our Southbound and Northbound trailer loads between Holbrook, MA and Carteret NJ that we had never been accustomed to. In the years prior to forming a relationship with your organization we had to deal with carriers that basically operated with a unwelcome degree of inconsistency that created a great deal of frustration for our company. Since we starting utilizing your services and your team we have finally relieved ourselves of that frustration. The service levels, the convenience and the integrity of everyone in your organization has been something we had never been accustomed to in previous years. We actually think of your drivers as part of our team as we have become so familiar with them. On our behalf please share this within your organization as your team does a superb job at all levels. M&M Transport Services has been Rand-Whitney Containerboard’s dedicated fleet provider for the past 10 years logging over 30 million miles and 34,000+ deliveries. They have been a great, dependable partner that consistently delivers outstanding operational results and innovative solutions. Mark Warsofsky has built a company culture where superior execution, integrity and dedication permeate throughout his organization. 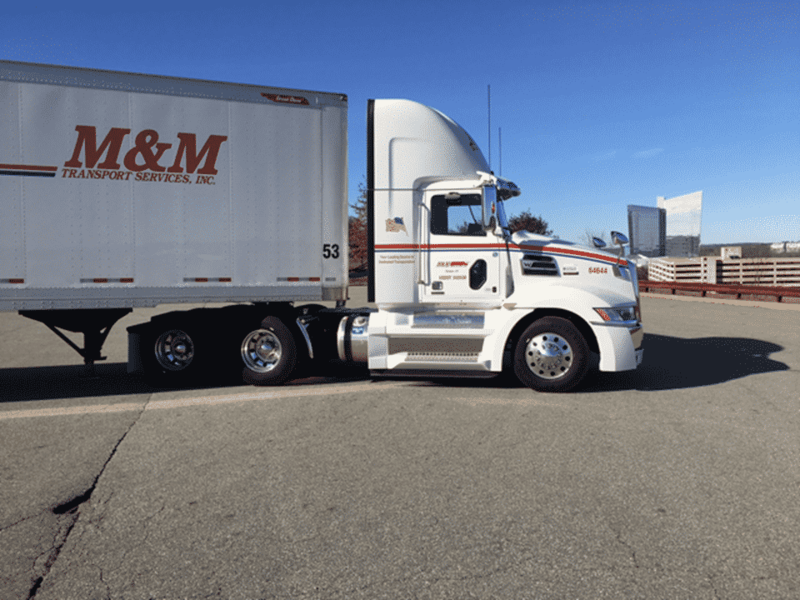 M&M Transport Flagship hits the road. Copyright © 2018 M&M Transport.